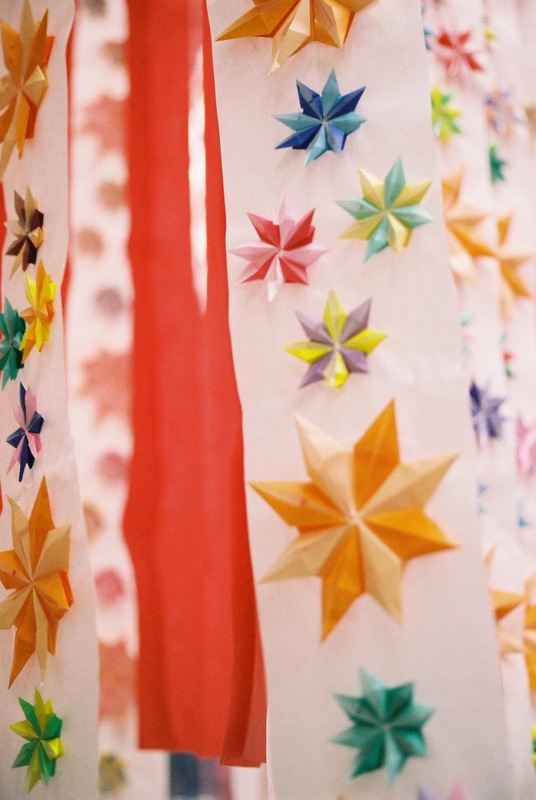 Tanabata is celebrated in many east-asian countries includes China. but in Sendai it's held in every August 6 - 8 based on Chinese calendar. Looking above from the pedestrian deck near Sendai Station. 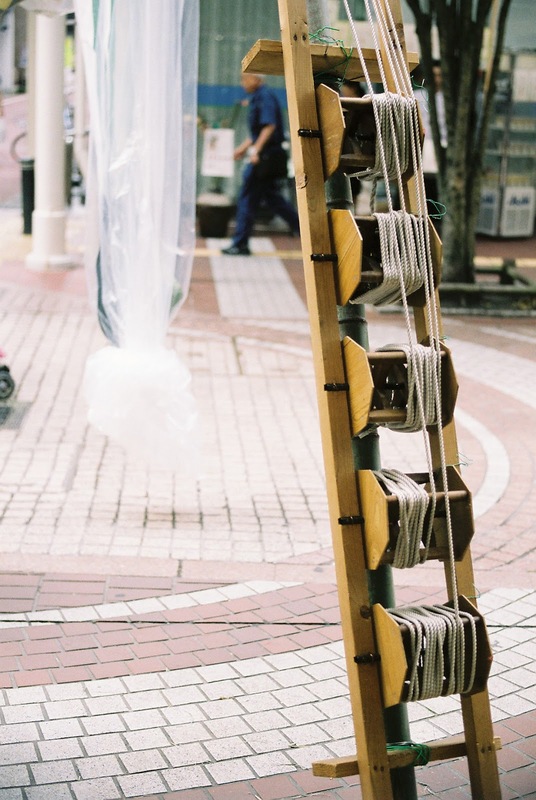 and put it on the bamboos or decorations like this. Orihime(female, star of Vega) and Hikoboshi(male, star of Altair) only can meet once a year, day of Tanabata. 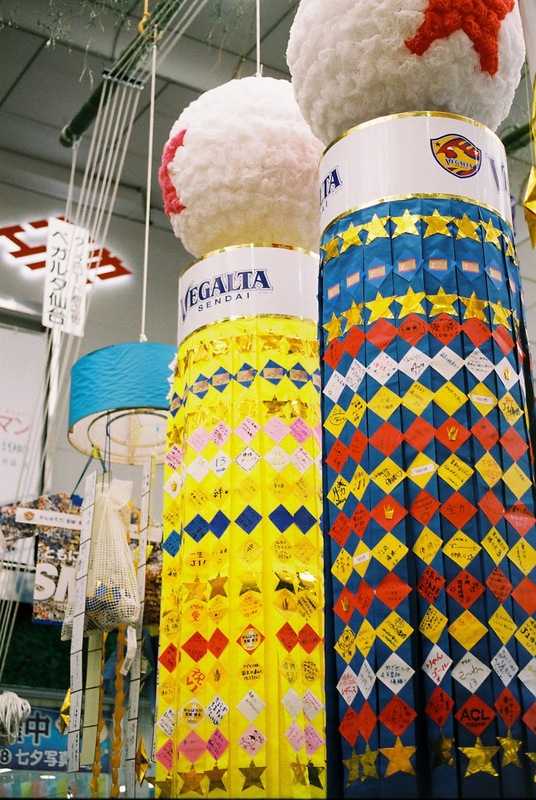 Vegalta's sponsor GINZA TANAKA(jewelry shop)'s golden wishing paper. 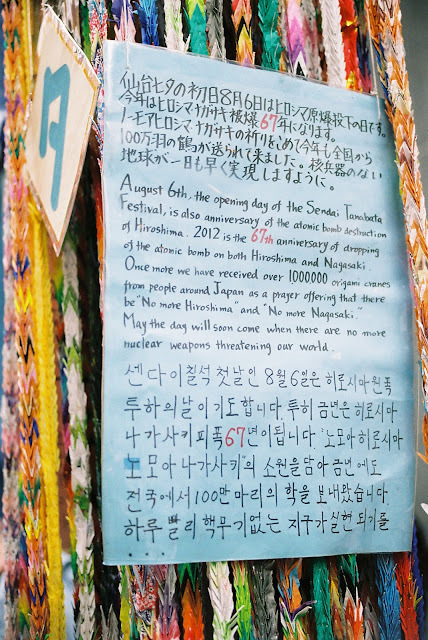 Thousands of paper cranes wishing for "No more Hiroshima" and "No more Nagasaki"
August 9, 1945 Nagasaki City. 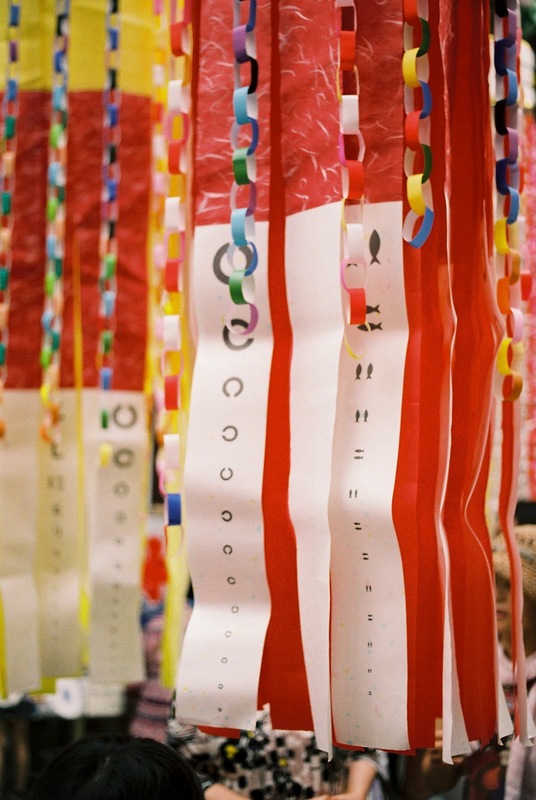 Sasa Kamaboko(kind of surimi, Sendai's special products) shops always decorate very beautiful and accurate one. 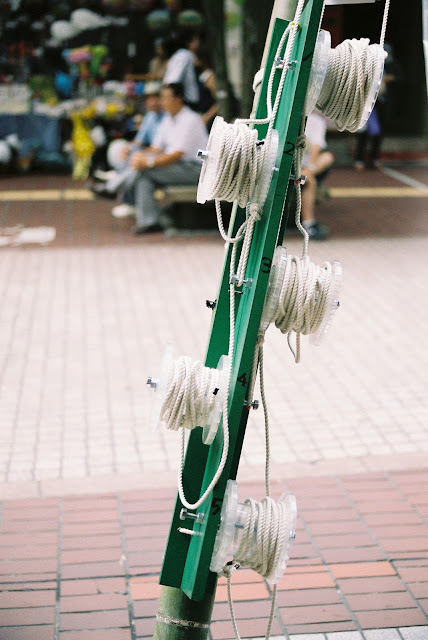 吹き流しを支える滑車たち。Pulleys for the big decorations.